Traditionally ‘Mezzanine Finance’ (or ‘Mezz’) was avoided by developers who shied away from the headline costs and the level of gearing it created on a development project. It is however now deemed to be more acceptable (rather like Bridging Loans have seen a rise in up-take) and new lenders are cropping up to meet the demand. So what is Mezzanine Finance? Most bank lending for property developments is done to a formula which includes a cap on the loan based on (1) the purchase and build costs of the development and (2) the end value of the project, also known as the GDV (‘Gross Development Value’). The High Street banks tend to offer the most keenly priced deals but operate to relatively low levels of debt (typically the lower of 55% of costs or 60% of GDV). This first level of finance is referred to as ‘Senior Debt’. Developers making judicious use of their capital, either because they look for a good percentage Return on Investment (ROI) by the use of debt leverage, or because they have several projects using up cash, need higher levels of funding. The first step might be to look at ‘Stretched Senior Debt’ – basically finding a lender that does higher ‘loan to value’ loans – say up to 70% – but inevitably more expensive. Where this is still not sufficient a developer might look at ‘Mezzanine’ – which is effectively a ‘top up’ loan provided by a separate specialist lender. Using this form of finance a developer can work with funding which allows them to only put in as little as 10% of the costs of a project. Depending on the project profit this creates the opportunity to generate a much higher ROI but also unlocks some projects which otherwise couldn’t proceed. Often borrowing to this level feels abhorrent to a developer – but the reality is that it is a legacy of the downturn that developers have limited capital, land purchase opportunities are scarce and many want to get working and keep working to rebuild their capital base. It becomes a means to an end. Providing this form of finance is a risky business. A lender is making skilled judgements about how much profit there really is in a project and will need a keen knowledge of and experience of building costs, market values and what can go wrong. It isn’t for the fainthearted! The lenders tend to be set up by property professionals using capital earned from property activities and available for lending into a business that they know well. They employ seasoned bankers with experience in property lending. Critical to them is where they sit in the ‘pecking order’ if things go wrong as they have a second charge behind banks – who get first call upon the money if a development fails. What are the practical considerations when seeking Mezzanine Finance? The lenders are not always very ‘visible’. They keep a low profile as they have limited capital and resources and can only look at so many deals at a time. Specialist brokers (such as us at ‘Stirling Partners Finance’) know who they are and have relationships which allow access to the key decision makers. It can be costly – so there has to be a sufficient profit in a project to make it viable. A guideline is that a project needs a profit level of 30% to make it work and many development projects are working well below that just to keep the activity going. It is critical that the Mezzanine lender and the Senior Debt lender can work together. Having two lenders in a project is a complex situation and potentially fraught. Hence they each have legal agreements which set out the terms of relationship between them throughout the deal. Familiarity comes in here – if they have worked together before they are familiar with the contracts involved and also the people get on. It makes a difference. Some Senior Debt lenders will not accept a Mezzanine lender ‘behind them’ – for the obvious reason that more highly geared projects are more risky due to the costs involved. First find your Mezzanine Lender! – there are fewer Mezzanine lenders than there are Senior Debt lenders. A practical tip is therefore to find one that has the appetite to lend and then establish which banks they tend to like to work with. They will all have preferred banks where the contractual issues have all been ironed out before and they know how they operate. Mezzanine lenders have to be ‘fleet of foot’. Usually their money goes in first, simply because Senior Debt lenders like to fund 100% of the build costs (which puts them in control) so if there is a shortfall it is in the land purchase. That means that mezzanine lenders are at the front-end which is often where the urgency lies. A lender being slow can therefore put a project at threat. So is it really expensive? At headline level it would appear so. Interest rates can be up to 20% with Set Up fees and Exit Fees. This is enough to put many developers off at first enquiry. There is no simple formula to apply here because it is dependent upon the cashflow of the deal. Knowledge of the phasing and build time does however enable us to construct a model which calculates the blended cost. 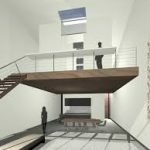 A downside of the Mezzanine finance is that it is in the project longer, because typically it goes in on Day One and gets repaid last – and it is the more expensive of the two components. However in relation to the less expensive Senior Debt it is always much smaller – perhaps only 10% of the costs to be funded compared to say 55% of costs covered by the Senior Debt. This means that a blended interest cost (which is driven by the relative amounts borrowed, how long it is borrowed for and the annual rate applying) will gravitate more towards the cost of the Senior Debt. Some developers find the cost more acceptable when it is looked at as a part of an overall cost. 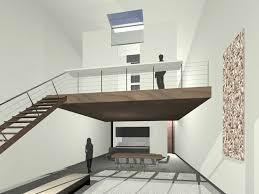 It is also worth recognising that the cost of mezzanine can be less than rewarding a private investor into a project. How to arrange Mezzanine Finance? This really is an area where a broker’s knowledge of the lenders and how they operate can be immensely valuable and often critical. Stirling Partners Finance have established relationships with those that we believe can be trusted to deliver and provide competitive terms.